Unlike the somewhat sedate GX7, the E-M1 is a full-on; stupendously fast professional-grade camera. Capable of shooting RAW/JPG at a machine-gun-esque 10+ fps with a buffer deep enough for 45-50 frames, it runs rings around many similar cameras – including many pro-grade DSLRs. It’s also fully weather sealed, and can be used (with the right lenses) during anything from sub-zero temperatures, to a sunny day and onto the depths of a tropical monsoon. 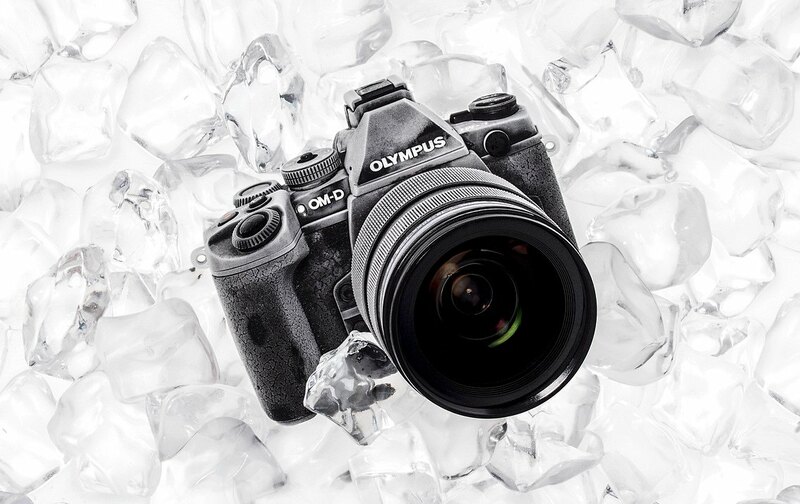 Olympus seem fond of advertising the camera in various positions from looking suitably drenched, through to on ice… Should be perfect for the somewhat varied conditions so often encountered while shooting during the “great British summer” then! Specs can be found here, and I’m not planning on writing a review as the camera’s been available for some time now and there are plenty of other technical reviews on the web. I’ve not had much time to do anything with it yet other than a few random shots of my son & daughter (along with some Canon flash equipment I’m looking to sell), but wow.. Most of these were shot with either an Olympus 17mm or 45mm prime, 34mm & 90mm equivalents in the full-frame world. Both are sharp & fast lenses which focus as quick as anything in Canon’s lineup – yet are a fraction the size & weight. First thoughts are that the camera looks the part, and delivers performance and image quality that’s right up-there with what I’m used to getting from my 5D Mk3’s. Its raw files are clean and very flexible in terms of post-processing, with little noise until you reach higher ISOs. Even then, there’s plenty of detail left in the image with loads of scope for adjustment as needed. The camera’s performance is sublime.. and it’s a pleasure to use. I have however also ordered the optional Olympus grip, as I could do with the body being a shade taller than it is. Oh, I need to make a decision at some point too!